Your Swiss Army Knife for PDF Files. Customize your conversion by selecting a page, a paragraph, or even a single line for conversion. Easily turn critical PDF content into complete Word documents you can edit. Select from the available Word output options: Frames, Standard, and Text, for varying levels of editing. Convert PDF to DOCX, DOC. Choose between the automatic and custom PDF to Excel conversion to convert complex PDF table data to Microsoft Excel with pinpoint precision and forget about cleaning up poorly formatted output results ever again. Automate the conversion process by queuing up a large volume of PDF files and even whole directories. Batch convert PDF to a wide range of formats from MS Office to AutoCAD. Transfer visual content and business PDF presentations into editable PowerPoint slides. Edit and polish off your keynote content in Microsoft PowerPoint. Recover CAD drawings by converting PDF to DWG and DXF, while retaining vector graphics and text. You can freely work with the conversion output in other CAD applications. Convert PDF to JPG, BMP, PNG, TIFF and GIF images. Apply image specific settings for your conversion such as DPI, image resolution, GIF animation speed, JPEG quality, and more. Convert PDF to Publisher to reclaim, edit and interact with PDF content right within Microsoft Publisher. Improve upon content intended for professional print. Convert PDF to formats native to OpenOffice and LibreOffice: Writer (ODT), Calc (ODS), and Impress (ODP). Create professional looking PDFs from 300+ printable file formats including Word, Excel, PowerPoint and other popular file types. 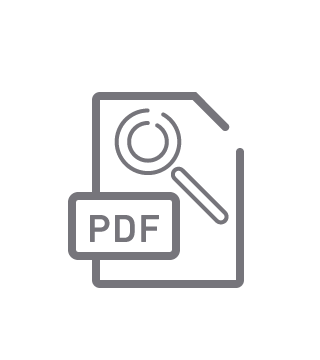 Create PDF files directly from any app that has the Print command without so much as starting Able2Extract Professional. Add file information, security parameters, compression algorithms and a wide range of advanced PDF creation options for every PDF file you generate. Custom PDF to Excel conversion allows you to manually designate the column and row structure of your data. The custom PDF to Excel conversion panel gives you easy access to visually tailoring your Excel conversion. Preview your PDF to Excel conversion results and get your business data just the way you need it. Use the PDF Preview Panel to view and adjust your conversion output before you convert your PDF data to Excel. Export PDF to CSV (Comma Separated Values) and TSV (Tab Separated Values) formats. Specify the column and row structure within the table using Able2Extract’s Custom PDF to CSV option. Easily transfer table structures from a wide range of formats directly into Microsoft Excel. Quickly export tabular data from MS Word, PowerPoint, XPS and more into Excel spreadsheets. Save your custom PDF to Excel conversion as a template and eliminate the time spent on resetting the same conversion parameters for similarly formatted PDFs. Perfect for monthly invoices and transaction records in PDF. Create Named Table Structures to gain more control over PDF table data extraction. Deal more efficiently with inconsistent table structures and get accurate conversion results despite variations in PDF tables. Automate PDF to Excel conversions even further using AI-powered smart templates. Train Able2Extract Professional to precisely locate and convert relevant tables from your PDF statements and reports. Quickly extract data from matching table structures regardless of the table size and position in the PDF document. Utilize the speed of Batch conversion and the efficiency of Custom Excel Templates. Separate PDF documents into different categories and process each PDF with category-specific templates. Able2Extract Professional will automatically determine the document category, load the matching template and batch convert PDFs to Excel or CSV. Search for a specific table structure that occurs throughout a PDF document during a Custom Excel conversion. You can find, select and convert only the specific tables structures you need and nothing more. Convert PDF tables to Excel with more precision and speed than ever. Add new or delete existing PDF text directly within the viewing window itself. Modify lines and blocks of text seamlessly by customizing the text’s font, colour and size. Insert JPG, BMP, PNG, GIF and TIFF images and various vector shapes onto the PDF page to create richer, more personalized PDF content. Insert corporate logo and other branding elements. Instantly add Bates numbering to PDF pages and index your business, medical and legal documents hassle-free. Select from a wide range of formatting options--numbering sequences, prefixes and suffixes, date-time stamps, and more. Insert blank pages into PDF and start creating PDF content from scratch. Customize new pages with text, images, vector shapes, form fields and more. Split and merge PDFs instantly. Insert pages from other PDFs or extract pages into brand new PDF files. Assemble and tailor your business PDFs directly in Able2Extract Professional. Specify paper sizing options for content intended for different types of businesses. Scale PDF pages along with the content and annotations. Perform essential edits to PDF files. Make document management easier by modifying your file’s metadata or change the viewing preferences of your PDF to suit your readers’ needs. Accurately extract image-only PDFs into fully editable and searchable content with the help of advanced OCR technology. Convert scanned PDFs into Word, Excel, PowerPoint, AutoCAD and more. Use Able2Extract’s OCR engine to convert even the poorest document scans. Correct skewed content and iron out grainy, broken text into smooth fonts and lettering. Stop retyping scanned tabular and numerical data into Excel. Extract all your image-based PDF tables into perfectly formatted Excel spreadsheets for immediate analysis and manipulation. Fill in interactive PDF forms directly by clicking onto the fields and entering and editing your information. Specify options through radio buttons and checkboxes, select items from combo boxes and list boxes and submit them with a push of a button. Turn non-interactive PDF forms into fillable ones, repurpose them, or create PDF forms from scratch. Add text fields, checkboxes and radio buttons, insert push buttons, resize fields, change the font color & more. Open and read any PDF in Able2Extract Professional’s complimentary PDF viewer. Simultaneously open and view two or more PDFs. Easily navigate and search through your PDF document. View two pages at a time, zoom in and out or rotate PDF pages if needed. Fill in and submit interactive PDF forms. View PDFs even if you don’t have a license for using its advanced features. Annotate PDF content and collaborate with others like never before. Able2Extract Professional offers a full range of markup options you can directly insert on the PDF page. Insert comments, sticky notes, and stamps. Highlight, underline or strikethrough specific content. Add a squiggly (jagged) underline and caret. Fine tune your document by adjusting color, opacity and other relevant properties. Secure your confidential PDF documents with 256-bit password protection. Encrypt and decrypt existing PDF documents with ease. Set up owner and user passwords to control how others use and interact with your PDF documents. Apply advanced file permission options and retain full control over who can print, copy, or modify your sensitive PDF documents even when you’re not around. Permanently remove sensitive information such as social security or financial information from your PDFs. Use Able2Extract Professional to add watermarks to your PDF pages to brand and safeguard your intellectual property. Make sure no one else can claim your own work and steal it from you. Insert electronic and valid digital signatures to your PDF documents from your desktop. 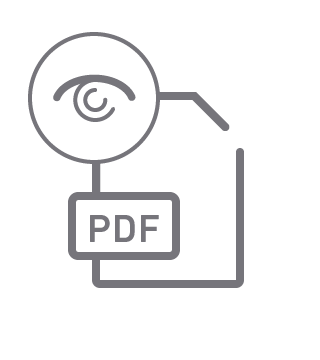 Use Able2Extract Professional to sign PDFs with signature images and digital (cryptographic) certificates and add an extra layer of security to your confidential documents. Verify the authenticity of digital (cryptographic) signatures in PDF documents by inspecting the signature validation status. Identify the signer’s identity and make sure that the PDFs were not modified in any way after the digital signature was added. See what’s new in version 14? Call us, email us, find us on social networks. As a licensed user, you are part of the +250,000 member strong Investintech family, and we'll make sure Able2Extract Professional is working to your standards. We are committed to developing the product YOU need. If there is a feature or improvement you’d like to see in Able2Extract, by all means tell us about it! It’s easy to use and very quick to convert just about any document I need. Once my co-workers found out I have this program they started sending me their documents to convert for them. I just love it. If you are ever faced with anything more than simple, straightforward conversions, Able2Extract will save you hours of work. I have not found anything else that even comes close. Make your PDF tasks easier with Able2Extract Professional today!